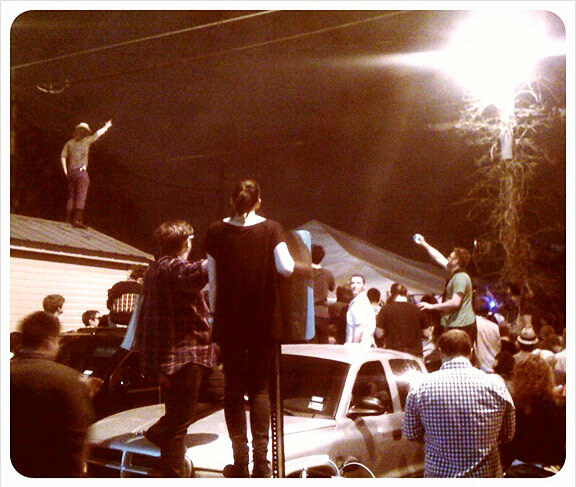 Above: People really, really wanted to see Death From Above 1979 at South by Southwest 2011, March 19, Beauty Bar patio, 1am Saturday night / Sunday morning. Who could blame them? That is SO not a “craptastic” cell phone photo; it’s quite cool, actually.